Ancient Roman Churches: According to an estimate, there were around 900 churches in Rome. The first church in Rome was the place where the Christians used to meet. The first categories are the houses of private of the Roman citizens. These were the place where the Christians would meet. This was also known as oracular. The second category is called the deaconries. This was the place where the charity that was collected was distributed to the people. All of these funds and charities were kept under the control of a person who was known as the deacon. He was a person who was elected by the people. The third category was called the other houses. This was the category that was different from the first and the second category. It was only the Tituli that were allowed to distribute sacraments. One of the most important priests was given the name of cardinal. It was the confirmation by the Pope Marcellus that title was the only central authority for the administration of the churches. There was a list that was made of the presbyters who were participating. It was Pope Julius who had set the number cardinal to 28. It was decided that for each day in a week, the mass would be told by a different presbyter. There were four basic basilicas and they had no cardinals. This was in this manner because it was on the instruction of the pope. 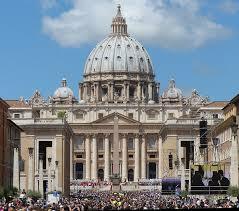 Traditionally it was believed that the pilgrims had to compulsorily visit all the four basilicas. 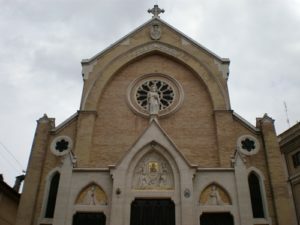 There is a complete list of the names of the churches that were in Rome. The Churches are many in number and for continence, they have been grouped. This grouping has been done on the basis of the time of the initial construction and also on the recorded dates of construction of these churches. The old Roman Churches are not the same as we have now. The churches by the construction do not speak about the age. Most of these churches had undergone reconstruction and there has been an absolute change in their structure and appearance. Most of the renovated churches look very recent and they also have a patchwork of different periods and different styles. 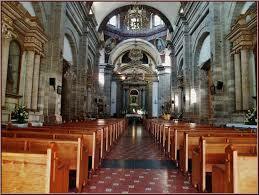 There are some different classifications of churches of different centuries. St. Peter’s Basilica Chuch is the world’s largest church in the center of Christianity. St. Peter’s Basilica church, also called New St. Peter’s Basilica church. This Basilica church is built on Vatican Hill, across Tiber river. This location is highly symbolic. Roman Pantheon is the fascinating Architecture. Emperor Hadrian built the Roman Pantheon to replace Commander Marcus Agrippa’s Pantheon and Augustus’ friend. 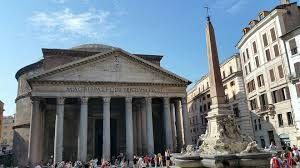 A Roman Pantheon is the most influential and preserved historical building of Rome. It is a Roman temple dedicated to all the Roman gods of pagan. The basilica is made up of three Flore of three “layers”: the present building of Basilica founded during the Medieval period. First, one of the Roman senators to convert to Christianity, On the second layer or second floor of mansion an large room was built, and this room would later become a basilica commissioned by Pope Siricius. 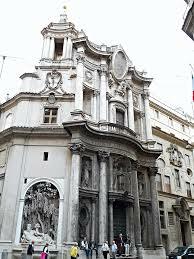 The San Carlino Church occupies in a small area, awkwardly shaped plot at the street corner. It is part of a vast building complex as well as rises at one end of a to the much spacious arcaded courtyard. The San Carlino is the earlier of two, but already we see Borromini at this dazzling best. 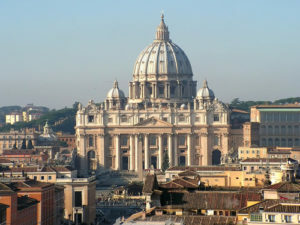 Begun in 1638, the church was consecrated, and it was unlike any other building in Rome.